A group of five managers with the Atlantic Coast Pipeline spoke Tuesday night in a broadcast via phone to Wintergreen residents about the upcoming construction of the high-pressure gas line at the mountain community's entryway. The engineers preferred to talk about the technical aspects of their work and often would offer no specifics about exactly when their work would start. Several of the speakers did say that all work here should be done by the end of 2019, which is when the entire pipeline is projected to be finished. The lack approvals from regulators was mentioned more than once to explain why no firm start-stop dates could be given. The primary speaker was Ron Baker, ACP's project manager for the work being done in Virginia. "I'm not going to pretend it's not going to be messy and disruptive for the people at Wintergreen," he said at the start of his talk. "It's going to be uncomfortable. You're going to know we are there. It's not going to be subtle. But, we're going to do the best we can to work with you to make it as easy as we can. "For a better part of a year you're going to see some kind of construction here," Baker said. Questions about issues such as dust and impacts on water quality during construction were often answered by pointing to the government regulations they had to follow or described to be as nothing extraordinary for a major construction project. The trees fell by ACP this winter have not been removed because of they lack regulatory approval to move them out, Baker said. Baker noted they had many questions from Wintergreen residents about traffic from the construction. He said roads would not be closed, but, "There will be some traffic interruptions." About "20 vehicle entrance and exits per 12 hours" was projected at the entryway drill site, although there would be more traffic at the beginning. ACP sees the work at Wintergreen as two distinct operations–building the basic pipeline that they are installed across the state, and the unique Horizontal Directional Drilling (HDD) work that is to create a mile-long tunnel under the Blue Ridge Parkway. Earlier reports that the HDD work would go on for 24-hours-a-day were confirmed. Start of the HDD work is being held up by the Federal Energy Regulatory Commission (FERC), but a late spring or early summer start with the HDD work was mentioned by one of the speakers on the call. The soil tests of the area found that the drill path will be through hard volcanic rock. Gary Castleberry, an HDD consultant on the project, said "the actual drilling is scheduled for 325 days, so we're planning for a full a year." Drilling under the parkway will be done on both the Wintergreen side as well as on the Augusta County side. The initial HDD drill head is about 12-inches and creates a pilot hole, which is then gradually widened to a tunnel slightly larger than the pipeline. Addressing a question about the noise from this work at Wintergreen's entryway, it was said that it there would be "typical construction noise." The drilling rig is a powered by a diesel engine, there is a pump always working as well. According to Castleberry, FERC's rules will limit the noise to 55 db at the work site, about the noise made by "a refrigerator or air conditioner." Castleberry said "we'll do whatever is required to meet the 55 db" requirement. While the HDD work will be 24-hours-day, the other pipeline work will be more like typical construction with little or no work done at night and 10-hour workdays. When the pipeline workers use Wintergreen Drive and Fortunes Ridge Drive to access the top of Piney Mountain, the roads will see about 25 entrance and exit trips a day. Little or no pipeline work will be done on Piney Mountain in the winter. They will attempt to do much of the work there "from the bottom, up, on our defined right-of-way. But, there is a limit of what we can do that way," said Baker. There were several questions from Wintergreen residents about their safety being compromised by the pipeline, "especially since there is only one way off the mountain." Dominion's Wayne Burkhammer, Senior Construction Manager for ACP, answer to that was, "There really isn't an easy answer to that question." He then outlined what he described as a well-designed project with "safety as the top priority" and a "comprehensive damage prevention program." As to what the property will look like two years after the project is finished, Baker said ACP would be working with the Wintergreen Property Owners Association on how the property would be restored along the permanent right-of-way. He noted that topsoil from the site will be stored not be hauled off site, but set aside for the land after the pipeline is installed. 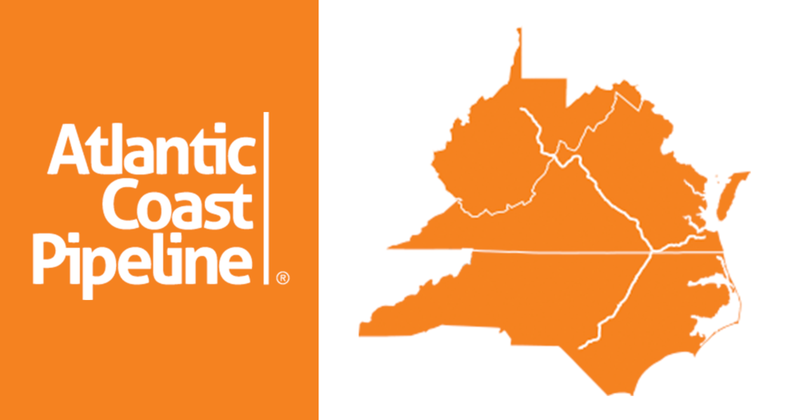 The Atlantic Coast Pipeline "project team members" outlined their construction plans around the Wintergreen community in a presentation via telephone on Thursday, May 1 at 6:30 pm. The presentation lasted an 51 minutes. According to ACP's flyer that was provided to the Wintergreen Property Owners Association, the call was to “explain the various construction activities, and also discuss safety measures that are in place to protect the community, our crew members, and the environment." Questions from the Wintergreen community were sought. "Please include your questions in your email, and we will get through as many questions during the Tele-Town Hall as time allows," the announcement said. During their program some of the questions from the emails were read verbatim and mentioned the first name of the person who sent the email. Susan King of Dominion Energy's External Communications told listeners on the May 1 phone call that those who emailed in questions see would get emailed replies addressing their specific concerns.